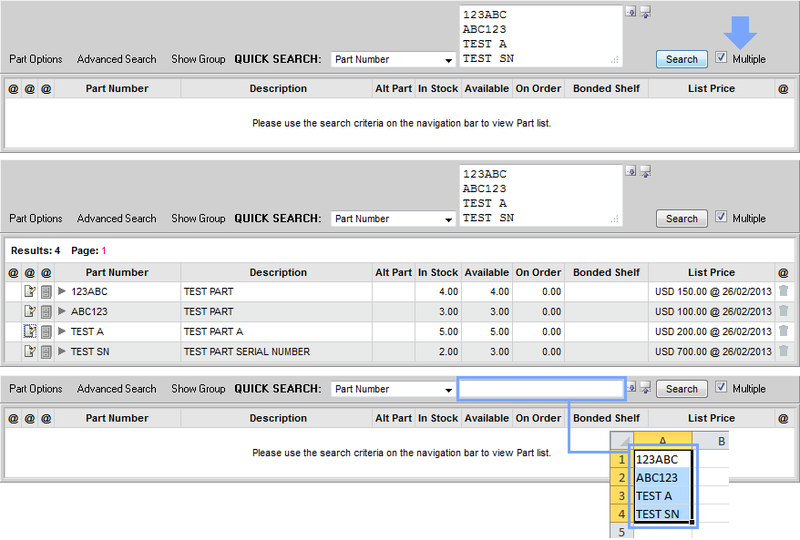 Search the Parts Module for multiple part numbers. Simply select Quick Search option "Part Number" and tick the "Multiple" option. This option also allows users to copy multiple part numbers from spreadsheets, documents or emails and paste them directly in the search field.